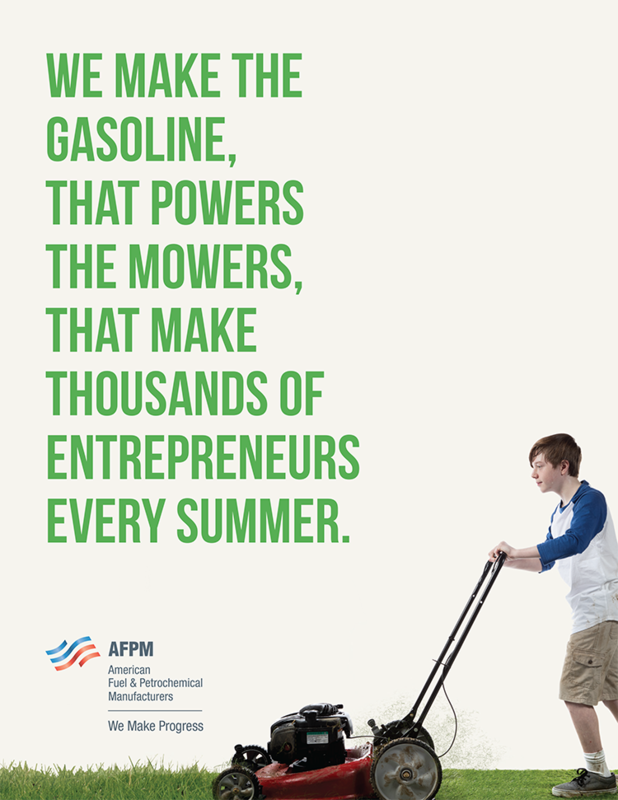 Mowing lawns is a summertime rite of passage in America, providing young people with experience pitching their business to neighbors, keeping a work schedule, and making and managing money—from purchasing the gasoline that fuels the operation, to budgeting for the oils and lubricants that keep a mower’s engine and blades running smoothly. Refiners are to thank for many of the key components that enable this enterprising work. U.S. refiners operated at near record highs in 2018, responding to strong global demand for refined motor gasoline, nearly 400 million gallons of which are used in the United States alone every day. Beyond the lawn: gasoline refined in the U.S. gets many of us to and from work each day and is essential to the actual jobs of most drivers, construction workers and in-home health care professionals, just to name a few. Across uses and around the world, America’s refiners are proud to fuel the daily travels, first jobs and futures of young entrepreneurs everywhere.